Andrew Hogarth – Exhibition Images Selected. Just completed the colour and final layout and title listings for the forty digital prints selected for the “Native America: Dinetah to the Greasy Grass 2008-2013 photographic exhibition. I reckon tomorrow will see it done and dusted. All the images are signed and numbered. It now looks like Monday to head over to the suburb of Waterloo to the framers for matting. Then jump onto a bus and head into Central Station and then out to Strathfield on the train to printwarehouse to get the two sided litho cardboard flyer printed. Exciting times and still current after thirty-two years. 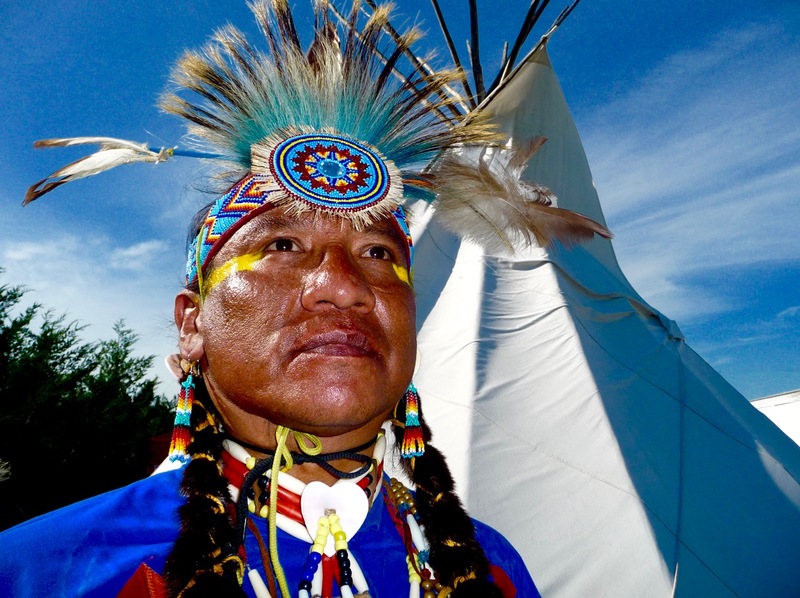 The image pictured is of Gordon Emery Brown taken at the Rosebud Casino Powwow near Valentine, South Dakota in 2011. This entry was posted onSaturday, November 23rd, 2013 at 1:29 am and is filed under American Indian, Great Plains, USA, New Mexico 2013, Photographic Exhibitions, Photography, Storytelling, Sydney, NSW, Australia. You can follow any responses to this entry through the RSS 2.0 feed. You can leave a response, or trackback from your own site.